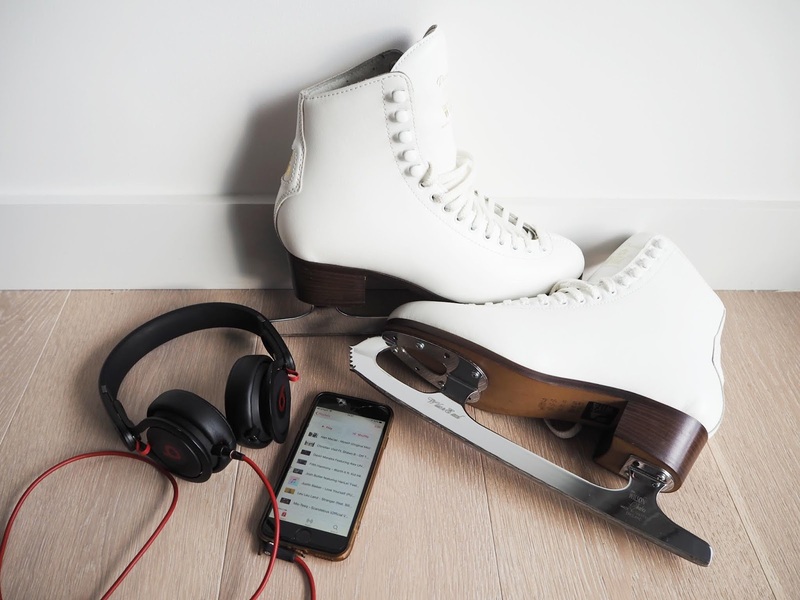 I have a couple of playlists compiled on my phone for running and my latest addition is for my ice skating training. In the summer, I discovered Greek web radio Vanilla Deep Channel which has been a treasure trove of discovering new house, dance and electronic music so my list is a mixture of those plus some classic RNB tunes. The whole list covers approximately 48 minutes and I usually have the songs shuffled. For my training, I need a good mixture of different paced songs so I can use the bassline as a guideline when I try to learn how to control the glide and my body coordination. Hence why I have a few dance songs shuffled with ballads. Sometimes I spend a good amount of time repeating an exercise over and over again (jumps), then I combine them (backward glide and crossings) or at other times I just want to freestyle around the rink and just learn how to control the glide going around in a few loops. Myself is a slow dance track with easy lyrics and a nice beat in the background which I find great for practicing backward crossings. A more dancy number are At Night & Off The Wall – a remake of the 1999 smash hit by Wisdom. Both songs have a rather stomping bassline and the upbeat tempo is perfect as warm-up songs. For calmer periods in my training, I love listening to Back Home. It has a catchy chorus and Alex Uhlmann’s voice is quite haunting. It’s a nice song to take off my mind and helps to focus when I try to practice small jumps. Then there’s Love Yourself – I know a cheesy breakup love song! But there’s so much feeling in his voice, he really means every word and the easy three accords accompanying his singing are just so plain pure – it gives me goosebumps every time I’m listening to the song. With ice skating practice I've noticed that sometimes, the slower I execute the jump or the crossing, I get better results rather than trying to use the glide and do the exercise in one go (highly enhanced risk of falling!). So Love Yourself is great for practicing these calm, collected moves. I’ve lately discovered Russian ice skater Elena Radionova’s routine to Fifth Harmony’s Worth It. It is such a cool dance on the ice and in a way reflects everything I love about the sport. To me, it’s less about performing the exercises to 100% precision, but to me, ice skating is a fun way of dancing that allows me to make some moves which I wouldn’t be able to do with normal shoes. Along with Scandalous which has a similar bassline and pacing, I usually try a few exercises including jumps and backward crossings to make my skating look more effortless. It doesn’t always work but I’m getting there. It Feels Good and Stranger are some classy house songs which remind me very much of 1999 dance songs and when The Shapeshifters had their heydays. Both are great tunes for regular practice or to take off my mind when I just want to go around the rink for a few loops. A Walk In The Plains has to be my new favourite song. In my training, I use it as a cool down after I've finished, but I regularly listen to it in the morning when I’m on the DLR and I can see the sun rising over the river. This is such a dreamy song that you can fully give yourself into this and let your thoughts drift off into the unknown. When I hear it I can dream myself away to sitting at a campfire near a beach in Australia, watching the sun rising on New Year’s Day. I love this song and how it takes me on a journey to my little fantasy island. So there you go, these are my current fav songs and thoughts going through my head when I train on the rink.